Surprise your guests with a unique slaw of unexpected texture and color packed full of flavor and healthful nutrition! 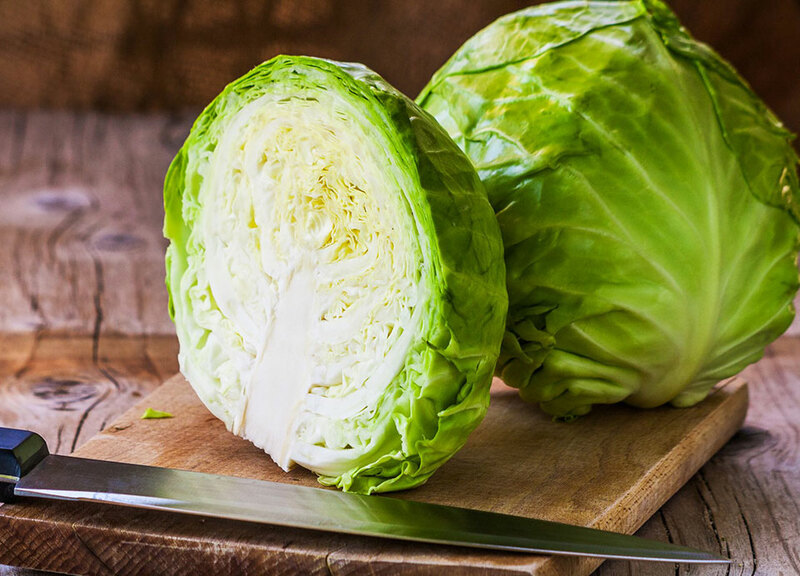 Cabbage has anticancer and cardiovascular benefits because of the unique enzymes, antioxidants and nutrients including glucosinolates that it contains. These compounds contribute to the pungent nature of cruciferous vegetables like cabbage, broccoli and Brussels spouts and are health promoting when consumed. By adding complex natural flavors like coconut, lemon juice, and soy sauce, this dish offers a savory and unique blend of textures that your guests will love. Adding turmeric, curry powder, and cumin skyrocket the nutritional and antioxidant value and lend a beautiful deep golden color to the dish. This simple, fresh salad is perfect for lunches, picnics, or to take to a party. Toss all ingredients together in a large bowl and mix well to coat cabbage evenly. Chill for one hour and serve.